This pillow measures 16 inches by 16 inches. Also comes with a carrying handle. 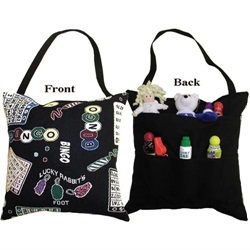 This large pillow has a Bingo-theme decoration on the front and six pockets on the back.